This is the second in the coloring and activity book trilogy I got a hold of from the no longer open Dollar Bazaar. After posting a number of funny activities from the Friends of the Force book, I thought it would be a nice change of pace to show some funny activities from another book. With the upcoming Batman vs Superman movie coming out eventually, this was the better of the two choices for the next book to be featured. The Flash was the only one who knew Jimmy Olsen was taking a picture. I always liked Batman and Superman, but was never really into the Flash, Green Lantern or Aquaman. I do enjoy the Big Bang Theory and all of the stuff they do with them. Then again, they cast Jason Momoa as Aquaman and he looks pretty awesome. Much like the Star Wars Friends of the Force book, there are all sorts of activities to do such as mazes and every page can be colored so grab your crayons, pencil crayons, markers or whatever you want and go nuts. 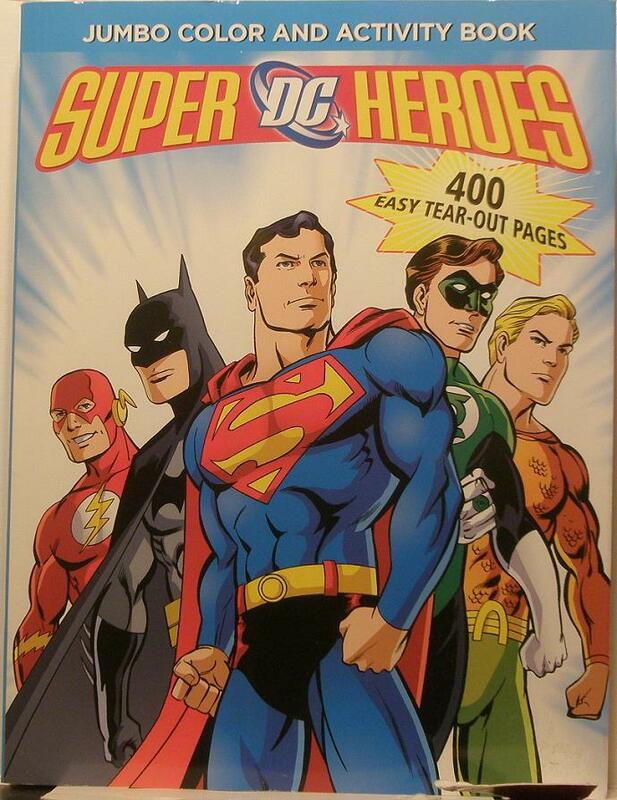 With 400 easy tear out pages, you’ll be kept busy for quite some time unless you don’t like coloring. Most of the pages are just coloring something.